For more size and packaging options, visit our online store's full Loose Leaf Tea selection! 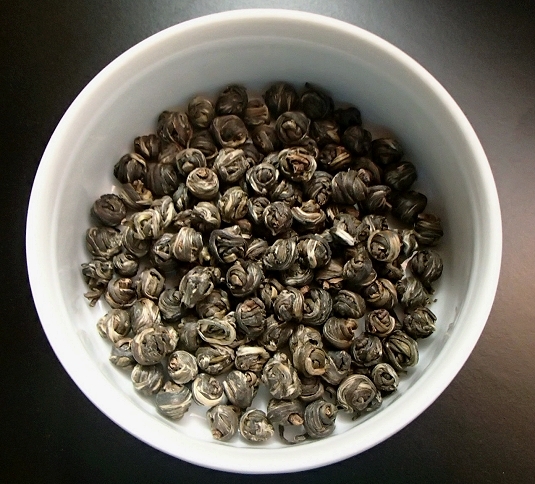 Harvested in 2014 from ancient tea trees growing wild on Jingmai Mountain, this large leafed tea is organically grown and harvested by hand. Low temperature firing brings out the natural astringency and develops the complex floral notes and gentle sweetness. 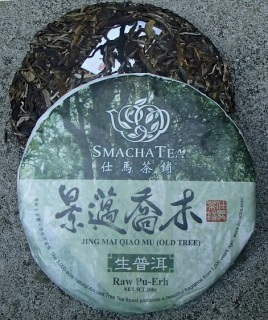 This high quality raw pu erh is perfect for a great many, short infusions adding a few seconds after each steep. To learn more about the historic tea trees dating back centuries, please visit Ancient Tea Plantations of Jingmai Mountain. Recommendations: Carefully pry approximately 3-6 grams of leaf from the cake (per 6 oz. serving) and rinse the leaves with hot water for about 10 seconds, discard the rinse water. 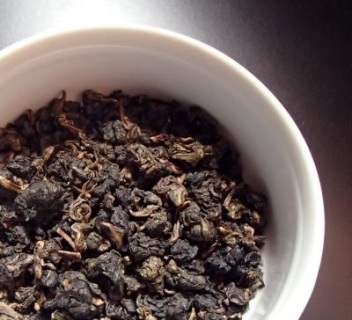 Infuse your pu erh at 180-190F for 30 seconds to 2 minutes. Multiple infusions highly recommended, add a few seconds to each additional infusion and/or increase temperature slightly. Try numerous short infusions or infuse longer for stronger flavor. 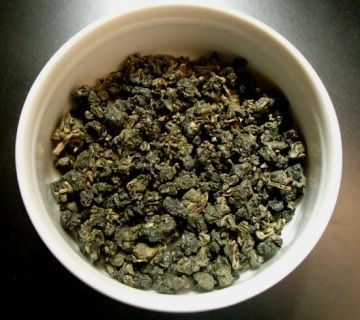 High grown, spring picked green tea from North Fujian Province is hand shaped into tiny pearls then allowed to rest until July when the jasmine flowers bloom. 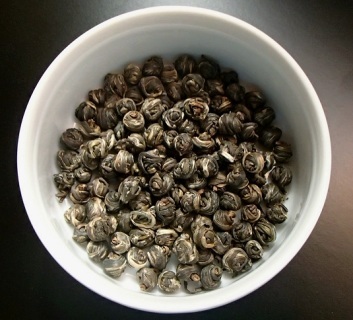 The fresh green tea pearls are then combined with the blooms five separate times to imbue each with the fresh jasmine aroma. 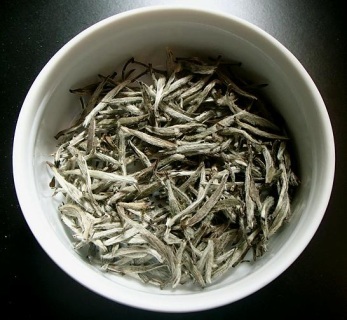 It brews into a heavenly balance of fresh green tea and delicate jasmine scent. The pearls should be reinfused multiple times. Harvested in 2011 from ancient tea trees growing wild on Jingmai Mountain, this large leafed tea is organically grown and harvested by hand. 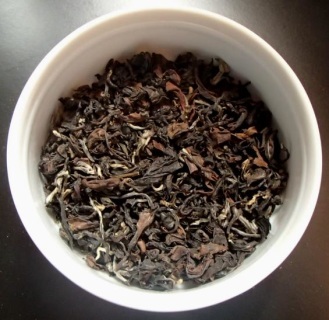 This pu erh offers mellow stone fruit flavors with a hint of sweetness in the background and a pleasant 'golden' flavor reminiscent of baked bread from an earthen oven. 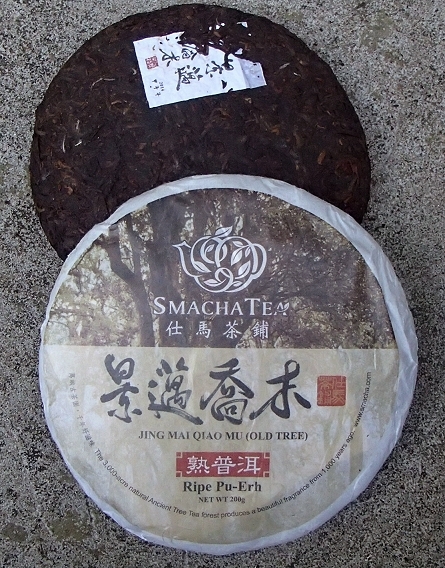 This high quality ripe pu erh is perfect for a great many, short infusions adding a few seconds after each steep. To learn more about the historic tea trees dating back centuries, please visit Ancient Tea Plantations of Jingmai Mountain. Recommendations: Carefully pry approximately 4-6 grams of leaf from the cake (per 6 oz. serving) and rinse the leaves with hot water for about 10 seconds, discard the rinse water. Infuse your pu erh at 190-210F for 30 seconds to 2 minutes or even longer for stronger flavor. Multiple infusions highly recommended, add a few seconds to each additional infusion and/or increase temperature slightly. 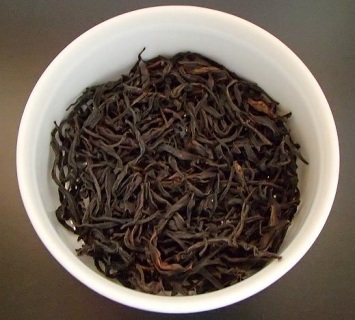 ​ Try numerous short infusions or infuse longer for fuller flavor.